Carbon + Titanium = new tech? They could probably have a prototype in a week. And before that, everything would be planned and studied in 3D model. Dang! I was hoping they were using Carbotanium like on some super cars, but this seems like an even better use of the materials. It’s too bad they don’t have any photos of an actual complete frame, just the 3D rendering. Even when I searched I could only find some vague pictures of blacked out frames that hide all of the details. 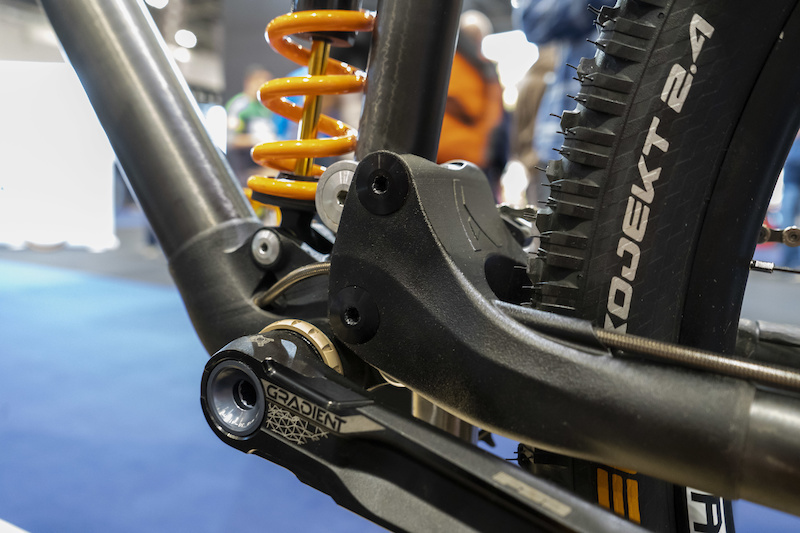 This is like a flashback to all the 90’s carbon road and hardtail MTB frames using round tubing bonded into steel or aluminum lugs… What’s old is new again I guess. Certainly 3D printing the lugs gives them the ability to easily change geometry which is cool. I haven’t seen any pricing info yet, but I’m assuming in the same range they originally were when they were Robot Bike Co. which was about $4k USD for a frame.